Everyone loved her from the start. Here she was, all blonde and blue and fair, born in Mexico. “Ella parece una munequita” they said; “she looks like a little baby doll.” And they would ask to hold her, and I always said yes because that is the culture in Mexico; babies belong to everyone, they are for everyone to admire, touch, and love. And while they were fawning over her, I would proudly announce; “Ella es Tapatia” ; “She was born here, in Guadalajara.” (Essentially, she’s a Guadalajaran) And their eyes would light up and I would smile. Such sweet days. We lived in a house in town with a banana tree in the yard at the foot of a mountain range that surrounded a lake. The boys were 7, 5 and 2 and then baby Phoebe. I home schooled 2nd grade and kindergarten that year and taught writing and composition 2 days a week at the Christian school on the missionary base. Nathan coordinated short term outreach teams, taught a Bible study at a local prison, and headed up the Homes of Hope home-building ministry. After school, the boys would play in the water-hose and Phoebe and I would relax on a blanket under the trampoline with her dog Sadie. Getting her dressed each day felt like Christmas, finally a girl to gussy up! It was a precious time, and the last year we would have before our lives were touched by suffering. 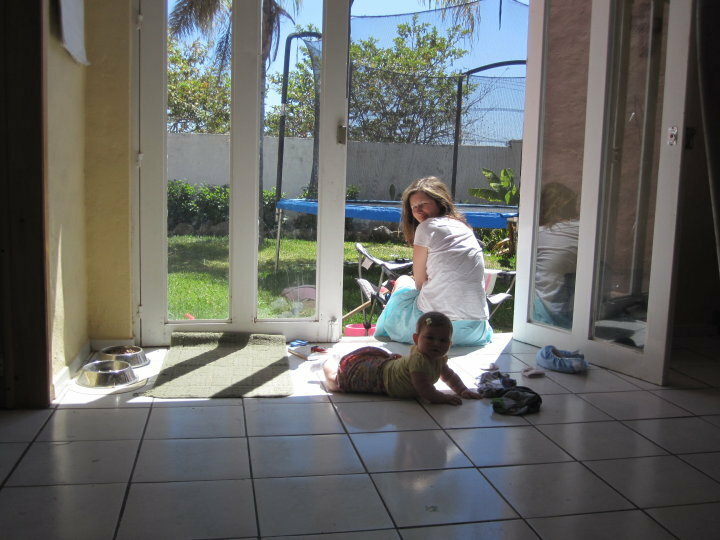 Shortly after Phoebe turned 1, we moved back to Texas after 3 years in Mexico. We lived and worked at an agricultural training farm called World Hunger Relief, and hoped to return to Mexico with some real life experience in agricultural practices. It was a tough year. I miscarried a baby at 13 weeks and then miscarried again 3 months later. I spent so much time feeling ill with morning sickness and then feeling sad about the losses. I regret not paying more close attention to Phoebe…it was the last healthy year I would have with her. It’s hard to believe I had a daughter who could run and play and sleep in her own bed and who didn’t need meds or shots or an ng tube. It seems like a story I told myself. The next evening I was in the ER at Children’s Medical center Dallas with my mom and a very sick Phoebe waiting for CT scan results. I can close my eyes and see it so clearly still. Phoebe was wearing her dark blue jeans with the big ruffles on the cuffs, and the maroon shirt with the flower embroidery and ruffles at the wrists. She had on her Stride Rite Mary-Janes, the brown ones with the scuffs on the toes. I ran my fingers through her blonde curls while she slept next to me underneath the fluorescent lights. I often think of the lady who performed the CT scan. She saw that baseball size tumor on her screen, and for just a moment she was the only one in the world who knew that life as we had known it was over. Phoebe held still and the lady gave her a teddy bear. I still have the teddy bear, but my daughter is gone. How can that be? And there we were taking each moment as it came, not fully realizing the path we had started down. We pulled in to a gas station today and Nathan hopped out to fill the tank. I leaned my head back on the seat and looked out the window. ‘EL TAPATIO RESTAURANT’ the sign in front of me read. “The Guadalajaran”. Nathan tapped on the window just then and pointed toward the sign. I nodded, knowingly. And at dinner tonight they accidently gave us 6 waters. At the end of the table was an empty chair with a little cup and straw. I loved it, and cringed inside all the same time. Oh how I wish I could just jump in the van, drive to Lindale and hug you up Amey Fair!! You just have such a special place in my heart, right there, in the same place where I hold my love for your sweet Phoebe. Such beautiful memories..such a beautiful life she lived. She lived it to her fullest. Thank you for sharing her with us, I so look forward to your each and every post. You are truly keeping her alive in so many hearts. Praying for you & the guys..always!! Again, even though we have never met, God has connected my heart to yours in some way. I awaken in the night to pray for you, pray throughout the day. I know that God is holding you close and covering you with grace, because that is what He does. I’m asking Him to fill you with new hope today and let the taste of His love and grace be sweet on your tongue, as you beautifully navigate this road of grief, remembering, and healing. Thank you for letting us be part of the journey. Amey, you are sooooo so special. Not only do you look like the model from the magazines of Rauph Lauren Collection that arrives at my house every month but you are to me St. Tereza of our era and my family. This smart women, faithfully following God and leading all of us, kind, giving, generous with a heart of gold. You are just special as your sister Dede many time told me. I am so blessed to be a part of this journey along with you guys. And please write a book because you are an amazing writer. The way you write make us feel every bit of human emotion. It is like reading one of those best seller books, that you wish the book never have a final chapter because you just don’t know when the same writer will write the next one. Your blogs does that to us. We wait and wait to receive your email. And we get so excited to read it. And than we get so happy to hear from you. Than I go pray and when my parents are off we pray together. We just love you and your family. You guys have a blessing weekend. Be safe and I am praying for healing and comfort. I do miss Phoebe so much. Her pictures brought me so much joy each time even more joy when I visited her in person. Phoebe touched our hearts. Precious pictures, precious memories, precious baby girl. Hold on to those memories & lean on our precious Lord. You are all in my daily prayers. Please continue to share. Your words are a ministry for the readers and an honor to little Phoebe’s short lived, but full to the brim, life. Thank You for sharing such a sweet memory. It is clear that she is still very much with you. We love you all so. Such precious memories!! Phoebe had such an impact on so many lives. Thanks for sharing. Prayers continue for your family. You are all continually in my prayers. Continuing to pray for you each day. Trusting in His faithfulness and promise to carry you through this valley. Thank you always for sharing Phoebe, and yourselves. Your family’s story is and will continue to be a testimony to God’s love and this hope we have in Christ. God bless. You will always remember those special memories. Thanks for sharing your heart. We love you guys!! Thank you for the reminder that we don’t know when God is going to call our children home. Amy, I am praying daily for you and our family. I have a yellow post it on my husbands desk as a reminder. Bittersweet. More tears………………… I think of sweet Phoebe and your precious family daily. What an impact you have made on my life and so many others. God Bless you guys! You are an inspiration. We are starting another WFA drilling course Monday. Little did I know that the course with Nathan, with this funny guy from Mexico who played the guitar with a big hat, would be the start of us watching the faithful endure such mega trial of tears. It humbles me and makes me handle all that come to our course and our life with more care, not knowing the trials and faith they may be called to attend. My heart aches for you. Your writing is so beautiful. Thank you so much for sharing your precious Phoebe with all of us. We have been praying for you since the beginning and we will continue to lift your family in prayers as you find a new normal. Even though we havent never met you personally we love your family and will pray for all those impacted by precious Phoebe and her love for Jesus. Hugs from VA.
Beautiful memories! Thank you for sharing these precious pieces of Phoebe. Continuing to pray and pray for you and your dear family. Oh Amey, how I wish I could be there to hug you and cry with you! I continue to pray for you, Nathan, Benjamin, Averic and Deacon. Though I couldn’t have children, Phoebe took a part of me with her; another part of me remains with the Fair family forever. Thank you so much for continuing your posts as we grieve with you. Your family’s faith and strength never fail to inspire me, as did Phoebe. Though we haven’t met, I long ago came to love you all as a sister in Christ. I am praying that our beloved Jesus will hold you all tightly in His arms and that you will be comforted. I cannot imagine having to go through that. Love from North Carolina–and from one who has been a short-termer in Querétaro, México and loves her people too…..
Amey thank you for sharing so honestly. It grieves me to know your family is hurting so deeply yet I love watching your faithfulness to Jesus. He is so evident. Thank you for sharing more insite of your life with Phoebe. I call her our blue eyed Angel. So sorry to hear of the miscarriages. God has a plan. You know that, and I know that. It is never easy we all have bumps or craters in the road. Cherish your memories and focus on building memories with your boys. You know how important they are. May God bless you in the work you do for him. Tell Aunt Jenni hello, and I appreciate her sending me personal IM’s on Phoebe. Great Big TEXAS hugs and Prayers continue for you and your family. I was so touched to read this and see pictures of Phoebe as a chubby blonde baby. In many ways, she looked the same at the end of her life as she did at the beginning….not a lot of hair, plump adorable arms and legs and that smile…always that smile. Hurting with you today Amey…my heart feels lost too, for a blonde little angel I never would meet. Gentle hugs to you all. I loved that story and the Spanish lesson. It is hard to say why I (who never got to touch her) miss her so badly. But I know the greatest pain in my heart is knowing how terribly, terribly bad you miss her. While out in my yard with my little dogs last night, I could see my shadow from the brightest full moon. The air was crisp and clean smelling, and as I looked up at the moon, I thought of sweet Phoebe. For a moment I thought, I wish she could see it. Then I laughed at myself knowing she was peering in the eyes of Jesus. Now really… how could that ever compare? God’s richest blessings on you and Nathan as you share in the sufferings of Christ and great be your reward for your testimony of God’s love toward us all. 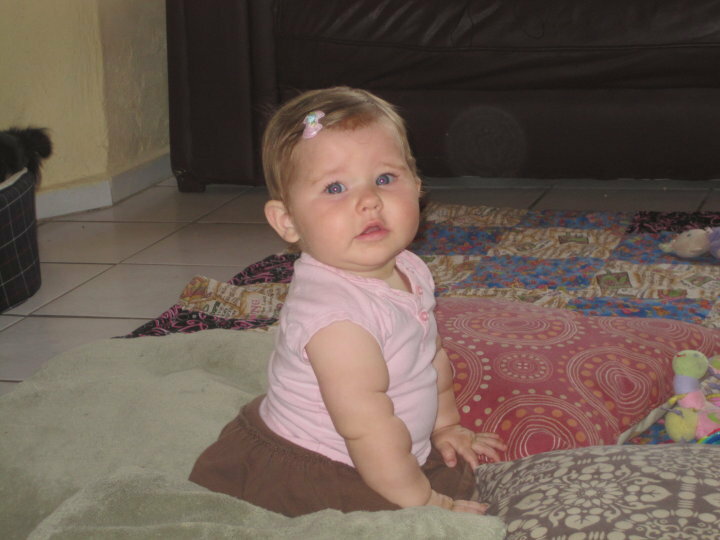 What an adorable, chubby, precious little tapatia…can’t imagine how much you miss her sweetness. Thank you so much for sharing Phoebe and your family with us! I know each night the brightest star in the sky is Phoebe. I know my 19 year old son would love to be here big brother…as he was an awesome big brother to the sister that was 6 years younger than he is. I miscarried 2 children… so now that my sons are gone, my daughter is an only child! GOD blessed you with sons… YOU are an awesome mother to them! 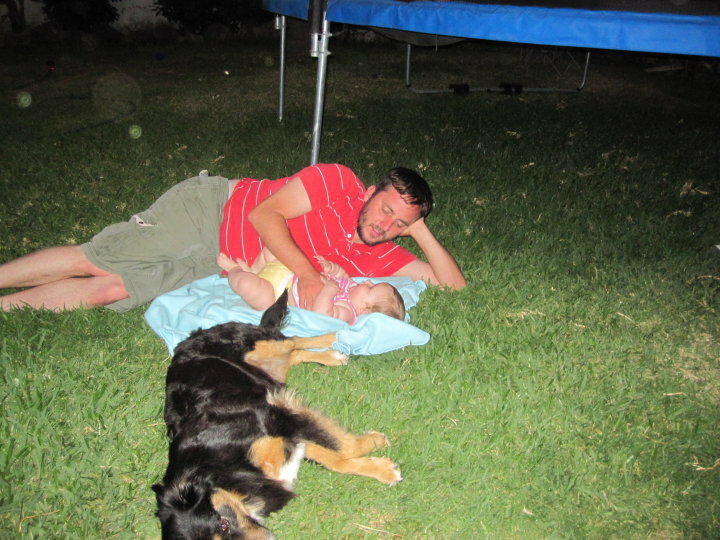 Sharing your stories with us shows us how special your baby girl was…. and we all know she smiles down on all of you now! God keep blessing this awesome family! I miss her. I never knew her but I miss her. I’m so sorry for your pain and missing that goes beyond words. Praying for you guys and the lavish comfort of our Lord. I was okay till I read about the waters at your table. And then the tears came. And the pictures… Oh sweet Amey… I am weeping with you! My mama heart hurts with yours. I am just. so. sorry. Your loss is so immense. I’m praying for your broken heart. I think of you often during the day. Early this morning I found myself thinking about her peanut shells under the porch that you found, and felt like crying all over again. There are no words I can say to take your pain away… I just want you to know that I am grieving with you and for you. Even though we’ve never met, I wish I could hug you. We are told in scripture to bear one another’s burdens, and I am trying, here in my little corner of Kentucky, to do that very thing. I’m lifting your broken heart up to our father, I’m feeling your pain with you… mourning the loss of this beautiful little girl. Praying that somehow, some way He will give you beauty for ashes. Thank you for continuing to share your heart with us, and for being vulnerable in your pain… it helps me know how to pray. We remember as well because your writing is so beautiful that it makes us feel so much a part of Phoebeliscious and your family. ” It is well, it is well with my soul.” Much aloha dear Fair family. So beautiful that Jesus finds small ways every day to concretely show you His faithfulness and love. Steadfast prayers for peace and comfort as you find hope in this time too. Love and hugs to you all. You don’t know me, nor I you and your family. I stumbled upon little Phoebe’s story a week ago. A week too late to pray for her healing, but not a week too late to pray for you and your family’s peace and comfort during this time of grief. I was headed to Dallas this past Tuesday, October 15, and knew I’d be passing Lindale. I had a fresh bouquet of pink flowers and the directions to Phoebe’s resting place in my GPS, and then the rain started. And it wouldn’t stop. Only grew harder as I drove. Please know I hold you and your family tight each night in my prayers, and one of these days…when the sun is shining, and I’m passing through, beautiful Miss Phoebe will have fresh pink flowers. Since Phoebe’s graduation, I’ve been at a loss for words, dear Fairs, except for His Words which remind us that we do not grieve as those who have no hope, and the knowledge that she has such complete freedom now ~ and is part of that great cloud of witnesses cheering us on ~ and that we cherish even as we are missing and grieving and praying for the Comforter to tenderly hold your hearts. Thank you for continuing to write and allowing us to journey with you through this…and since I’ve not seen a post about them, how are your dear boys doing?